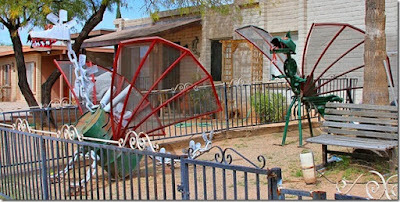 Tucson Daily Photo ~: There goes the neighborhood! Check out these wacky dragons as yard art! FUN! Looks like the same photo twice. Thanks for stopping by, Kendall!